And that’s certainly true enough. There isn’t anybody out there who wouldn’t want the operating system they use to be a little more resilient against the ever-increasing amount of malware and threats which are sloshing around out there online. 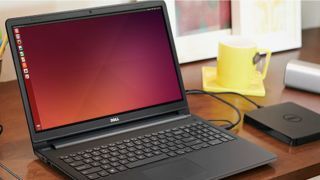 However, the lack of anything exciting being mentioned – security isn’t exactly a feature to get the pulse racing – may leave some Ubuntu fans a touch cold. But this is just a small initial teaser, and we can hardly make a call on exactly how Cosmic Cuttlefish is going to shape up at this point, of course. Canonical released Ubuntu 18.04 LTS (Bionic Beaver – yes, they all sport rather frivolous names) just under a fortnight ago, which came with the GNOME desktop (rather than Unity) and dropped support for 32-bit installer images – and that certainly stoked some controversy among Linux fans as we discussed at the time.